My first experience of the powerful NLP technique known as ‘collapsing anchors’ was at an ‘Organisation Transformation’ retreat in Crete in the mid-90s. In fact it was the first time I had knowingly met an NLP Practitioner. On discovering that I was (at that time) a hypnotherapist, the NLP guy was keen to give me a taste of how effective NLP can be. He asked me if I had any mental ‘glitches’ that I would like to sort out. As it happened, a scary but non-fatal car accident while travelling in America (which of course involves driving on the ‘wrong’ side from a British point of view) had left me with a strong and unwelcome ‘startle’ response to the sound of squealing brakes, something I was keen to see the back of. I didn’t know it at the time, but ‘collapsing anchors’ was the method my new friend used to try to shift the unwanted response. As our conference venue, a yoga retreat centre above a beach, was only accessible by foot or boat I had no way at the time of knowing if the intervention had worked, so I made a mental note to test it once we got back to a town with traffic. So what is collapsing anchors, and how does it work? Anchoring, of course, can happen by accident. A ‘significant event’ can form a neurological link between a particular stimulus and and emotional state, if the emotional response to the event is strong enough in the moment. Fortunately, you can also set anchors intentionally. 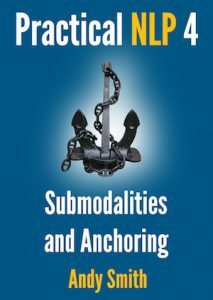 One of the useful things you can do with intentional anchoring is to get rid of a pre-existing anchor for an unresourceful state – such as my fear response to the squeal of brakes. Quite simply, you build up a resource anchor that’s stronger than the problem state, set both of them off at once, and since it’s impossible for a person to experience two incompatible states for any length of time, the resource state ‘wins’ and blows out the problem state – permanently, so you only need to do it once. This is called ‘Collapsing’ the negative anchor. This is one of those NLP patterns that’s not really a self-help technique. It’s much easier (and safer, if you are dealing with a strong unwanted response) to have someone else who knows what they are doing guide you through it. So if you want to use this technique to help others, I suggest you go on a decent live NLP Practitioner training. For now we’ll just run through the steps so you can see how it works. Agree on which resource state (or states) is/are needed. These need to be high-energy, powerful states. Get into specific positive state you’re eliciting. This is important – if you’re in rapport with the person, and you go into a state, they will follow you into it. Break state before you elicit the negative state. Elicit and anchor the negative state (only elicit the negative state as far as you need to anchor it). Fire anchors at the same time until they peak – you’ll see some physiological changes as both states are triggered. As with any NLP intervention, test and future-pace. At the end of the conference in Crete, we were sitting in an open-cafe in the centre of a small coastal town, waiting for the coach to pick us up for the airport. 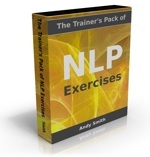 My new NLP Practitioner friend asked me what I thought of NLP now I had some experience of it as a client. I told him that I was definitely interested in finding out more about NLP, but I wouldn’t know for sure if it had worked until the next time I heard some squealing brakes. It was then that another person at the table pointed out that there had been three loud braking incidents in the last half hour while we’d been sat there with our coffees. I hadn’t noticed any of them.